Looking for the perfect Houston party band for your event? 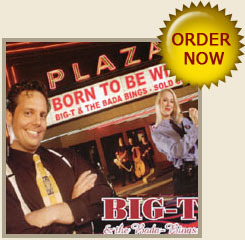 Bring in Big-T and the Bada-Bings, and people will remember your function for years to come! 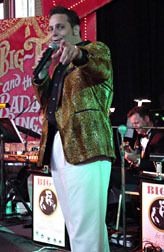 Bandleader Craig “Big-T” Thompson will take your guests on a musical journey with favorites from Frank Sinatra to B.B. King, and from Bobby Darrin to Stevie Ray Vaughn — all delivered with Vegas swagger and style. He is backed by a group of incomparable musicians who are equally at home playing traditional big band music, swing, blues, rock-and-roll and classic rock. The show is second only to a night at the Sands. Look beyond the usual Houston bands, and book Big-T and the Bada-Bings! Based in North Texas, this 10- or 17-piece Big Band regularly travels from Dallas to Austin, Houston, San Antonio, and Oklahoma to entertain partygoers and VIPs throughout the Southwest. Whether you’re looking for Houston Jazz Bands or Houston Party Bands for your Houston wedding, charity gala, corporate party, trade show or concert, Big-T and the Bada-Bings are guaranteed to knock your socks off! Still need convincing? Follow the links above to read the reviews or listen to samples off Big T’s debut CD, Born to Be Wild. You’ve found your band in Dallas, baby. You’re one of us, now…FUGGHETABOUTIT!